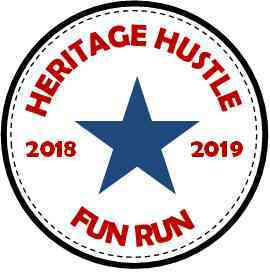 What is the Heritage Hustle Fun Run? • A school wide event on Thursday, October 4 in which all students and staff participate. • A new approach to fundraising that avoids selling products and directs ALL profits back to the school. • Heritage PTO’s Fundraiser, where students are encouraged to get pledges and run laps to raise money What are the goals of the Heritage Hustle Fun Run? 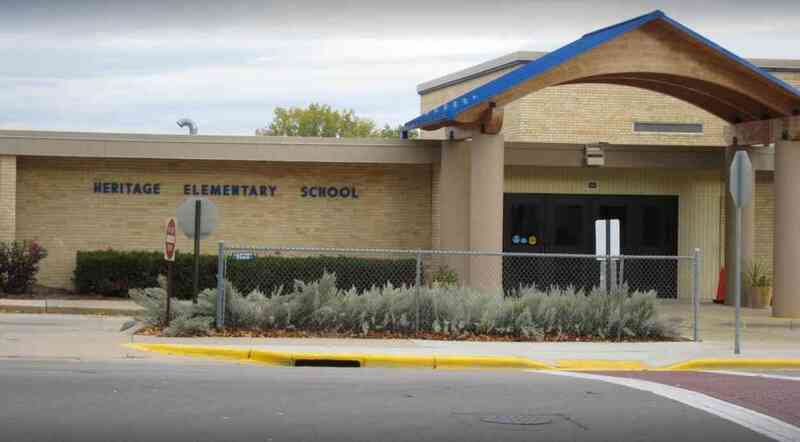 • To fund Heritage PTO programming, including assemblies, field trip opportunities, technology needs, birthday books, new playground equipment, and academic needs that might not otherwise be available. • To include the entire Heritage Elementary community in a fun and healthy "welcome back" activity. • To be successful enough to make this the only Heritage PTO fundraiser of the year. What about pledges? • Sponsors can donate an amount per lap or a set amount. If you choose to motivate your child with a per-lap donation, please manually calculate your pledge and enter your donation after the run is complete. • All donations are tax-deductible. • For the safety of our children, please only ask family and friends for pledges. We do NOT promote or encourage door-to-door solicitation. • If your family prefers not to solicit pledges from family and friends, please consider making a donation to Heritage PTO. You are always welcome to complete the paper pledge form (rather than online) and send checks payable to WCSD. Incentives! * $18,000 = Everyone earns a popcorn party! * $20,000 = Mr. Carter will spend a school day on the roof of the school! * $22,000 = Inflatable day! We will rent a bounce house obstacle course to be used either during recess time or during PE class over a 2 day time period. 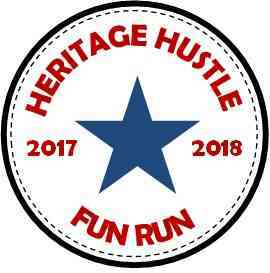 What is the Heritage Hustle Fun Run? •	A school wide event on Thursday, October 5 in which all students and staff participate. •	A new approach to fundraising that avoids selling products and directs ALL profits back to the school. •	Heritage PTO’s Fundraiser, where students are encouraged to get pledges and run laps to raise money What are the goals of the Heritage Hustle Fun Run? •	To fund Heritage PTO programming, including assemblies, field trip opportunities, technology needs, birthday books, new playground equipment, and academic needs that might not otherwise be available. •	To include the entire Heritage Elementary community in a fun and healthy "welcome back" activity. •	To be successful enough to make this the only Heritage PTO fundraiser of the year. What about pledges? •	Sponsors can donate an amount per lap or a set amount. If you choose to motivate your child with a per-lap donation, please manually calculate your pledge and enter your donation after the run is complete. •	All donations are tax-deductible. •	If your family prefers not to solicit pledges from family and friends, please consider making a donation to Heritage PTO. You are always welcome to complete the paper pledge form (rather than online) and send checks payable to WCSD. Incentives! * Classrooms that raise $500 in donations will earn a popcorn party * Classrooms that raise $1,000 in donations will earn an ice cream party * Classrooms that raise $1,500 will earn a classroom pizza party * If the school raises $15,000, we will send Mr. Carter on to the roof of the school for a day! * If the school raises $20,000, we will have a bounce house recess day!